BTCGlobal.Team Review – Should You Trust This Option Service? Promoting a guaranteed 14% weekly return with a minimum deposit of $1,000 in bitcoins is quite an alluring offer from a minimally invasive operation such as BTCGlobal.Team. Allegedly founded from an entity known as Steven Twain, BTC Global renders an option trading service where investors deposit into their platform and will from that moment on begin accruing a weekly 14% return. Providing no transparency, 3rd party verified documentation while rendering vague operational details, it is evident that the creators behind this operation are targeting inexperienced investors. As you continue to make your way through our factual and unbiased review, you will begin to realize how illegitimate of an investment opportunity that BTCGlobal appears to be. Portraying their operation as a rare and promising investment endeavor are the least of your worries regarding the BTCGlobal operation. BTCGlobal.Team functions as both an online investment service and an affiliate marketplace. By titling their domain as BTCGlobal.Team, this operation has been able to effectively target the cryptocurrency domain, and more specifically the Bitcoin community, into potentially opting in with their option service. The minimum deposit to get started is $1,000 worth in bitcoins while those who enroll through the service will then supposedly receive 14% weekly returns. Investors who wish to increase they overall expected earnings are then able to participate in BTCGlobal 5 uni-level compensation program that is used to lure in new victims investors. Steven Twain is the alleged creator and master trader behind BTCGlobal.Team. According to the website, Steven possess 6 years of experience of trading in the option industry and has over the past few years been providing trading services for other consumers whose account portfolios consist of a $10,000+ balance. While we could find no evidence amongst social media platforms or extensive search results to confirm that Steven Twain is a real trader, it sparks the question of whether not Steven Twain is truly an existing entity or not. BTC Global is mostly renowned for their outlandish weekly returns of a guaranteed 14%. While the home page of BTCGlobal.Team guarantees a weekly return of 14%, according to the sites Disclaimer, their sole entity ran operation will not be held liable for any circumstances that may occur when using their service. So it is evident that their bold assertion of a 14% weekly return is not legitimate while their affiliate program that is available to their active members promotes 0.5% to 5% referral payments via a pyramid scheme structure. BTCGlobal.Team operates as an option based investment service which requires members to deposit a minimum of $1,000 worth in Bitcoin. While most legitimate option services enable investors to employ various deposit methods, we find it curious how BTC Global only accepts BTC deposits. Perhaps it is because the creators behind this operation know that Bitcoin transactions are irreversible once sent, which means that there is no chance for consumers being able to request refunds or perform chargebacks. In addition, a weekly 14% return equates to an annual return of 728%. Not only is this an outrageous investment return to guarantee to prospective investors but it is completely ill-founded due to the fact that no transparent evidence is disclosed anywhere upon their site to support this claim. Furthermore, we could find no credible results to suggest that Steven Twain is an existing entity. If you took the time to conduct a little research into BTCGlobal.Team, you may come across a multitude of websites claiming that BTC Global is a Ponzi scheme. Exploiting a couple of the various flaws that we have addressed in our honest review, it is evident that the community consensus regarding BTC Global is negative and overall supports the notion that their operation is not credible or trustworthy. BTCGlobal.Team reflected a SimilarWeb global rank of 326,799 with a South Africa rank of 3,000 as of February 10th, 2018. According to the report, roughly 72.60% of the sites traffic originates from South Africa while an additional 15.87% is composed from visitors residing within Swaziland. 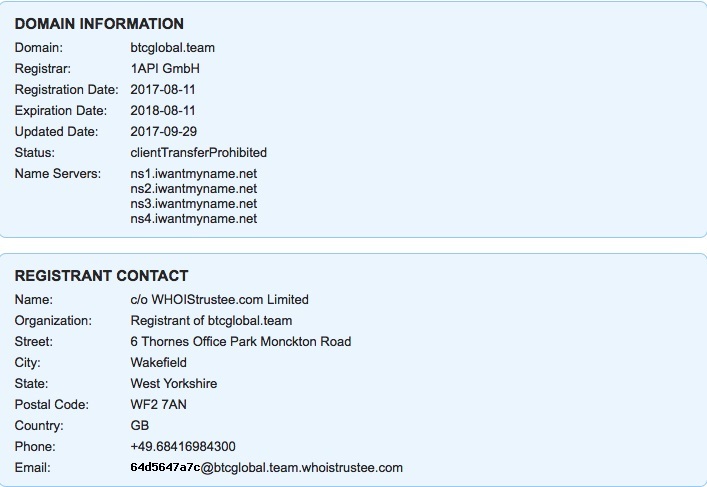 Incepted on August 11th, 2017, BTCGlobal.Team was registered from an undisclosed registrant of BTCGlobal.Team. BTCGlobal.Team is a lazily engineered deposit trap meant to mislead inexperienced Bitcoin investors out of their hard-earned capital. 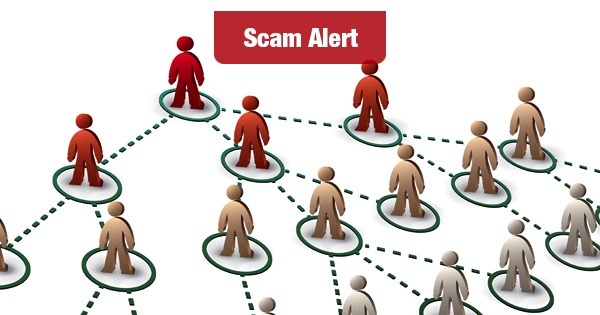 Promoting unrealistic guarantees and promises while failing to abide by their assertions in their Disclaimer is just one of the many discrepancies we exposed regarding this deceptive option service scam. Do not commit your time or faith with this moronic investment scheme, the only end result that will occur will be the loss of your hard-earned bitcoins. Review Verdict: BTCGlobal.Team is a SCAM! Do you have a personal experience with BTCGlobal.Team? Share your story with us by leaving a comment below! To learn about legitimate investment opportunities within the cryptocurrency domain, we encourage you to visit our Cryptocurrency Day Trading Guide. Evade the latest cryptocurrency scams by subscribing to ScamBitcoin.com, where subscribers receive free reviews and scam warnings directly to their inbox! Hi, now that btcglobal is a scam, l should consider myself a loser of my thousands recently invested with them? Though we had the impression that it was a real trading platform since its possible except for their weekly rates but what could possibly be done to reclaim at least half the investors deposits especially the new victims? Its painful how our fellow Africans do this to us.